What's a Roth IRA rollover? And what are the rules in regard to rollovers? These are both excellent questions, and if you have a Traditional IRA, a 401k, a 403b, or any number of other retirement plans, you need to know. Because you might decide the benefits of a Roth IRA far outweigh the likely taxes and/or penalties incurred by a Roth IRA conversion. It's a conversion... from one retirement plan to another. In this case, a Roth IRA. But a rollover is just one method of conversion. A Roth IRA rollover takes place when you receive a distribution from another retirement account (such as a Traditional IRA or 401k) and you "roll it over" (contribute it) to a Roth IRA within 60 days following the distribution. But, as with most retirement account withdrawals and Roth IRA contributions, you need to follow the rules as laid out by the IRS in order for things to go smoothly. Before making a Roth IRA rollover, you need to make sure you follow the rules and meet the basic eligibility requirements. 1) Your tax filing status is married filing separately and you lived with your spouse during the course of the year (this provision is no longer in effect as of 2010). 2) You inherited the account in question from someone other than your spouse. In such a case, the inherited account can NOT be converted to a Roth. So let's address the Roth IRA rollover rules one-by-one. One of the IRS rules for performing a Roth IRA rollover is that you must have an open/established Roth IRA account. After all, you can't rollover funds into an account that doesn't exist, right? So make sure you have an open account with the broker of your choice. In the event that your current broker is your broker of choice, you might want to choose another method of conversion, such as a same trustee transfer. A same trustee transfer allows you to simply change the designation of your account without the need for opening a new account, which is a requirement for a rollover. For instance, let's say you have a Traditional IRA with and you want to rollover those funds into a Roth IRA. If you want to stay with TradeKing as your account's custodian, all you need to do is initiate a same trustee transfer. Instead of opening a new account, you keep your present account, but instead of calling the account a Traditional IRA, it's newly designated as a Roth IRA. Of course, you're still responsible for any applicable taxes or penalties just as if you had initiated a rollover to a new account. The next Roth IRA rollover provision you must meet is a requirement that your adjustable gross income (AGI) fall below a predetermined threshold. Right now, the AGI limit for a Roth IRA conversion is $100,000. If you earn more than $100,000 annually, you're simply NOT eligible to perform a Roth IRA rollover. Does that mean all hope is lost? Starting in 2010, the income limit on a Roth IRA conversion disappears! So if you can hold out a little while longer, you won't have to worry about the AGI requirement. Once you initiate a Roth IRA rollover, the IRS places a time window on when you can successfully fund your new account. According to the IRS, you have 60 days from the date of a distribution to rollover (contribute) those funds to your Roth IRA. For instance, let's say you have a Traditional IRA with Fidelity worth $60,000, and you want to make a Roth IRA conversion. You recently opened a Roth IRA account with eTrade. Yes. You have 60 days from the time of the Traditional IRA distribution to rollover those funds into your Roth IRA. Since October 15 falls within that 60 day period, you're in good shape. But what if the check sits in your "In" box until November 15. Does that make a difference? Yes. Since November 15 falls outside of the 60 day window, you are now barred from performing a rollover to your Roth IRA. Once that window closes, it's closed forever. Don't procrastinate! As soon as you receive your rollover distribution, immediately begin the process of contributing it to your Roth IRA. In the recent past, a Roth IRA rollover (more often than not) involved the conversion of a Traditional IRA to a Roth IRA. While the IRS rules have changed to reflect the wide array of retirement savings options available to the public, this is still one of the most common rollovers. The standard rules, as previously discussed, still apply to this type of rollover. But one thing you should look out for is a rollover involving multiple accounts. The IRS views your Traditional IRA as one account, regardless of how many open accounts you have with different trustees. For instance, you may have one IRA account with Fidelity and a second IRA account with Charles Schwab. You might view these accounts as separate entities, but in the eyes of the IRS, they're one and the same. So how does that impact you? Suppose you funded the Fidelity account with non-deductible contributions, but you funded the Schwab account with deductible contributions. Each type of contribution is treated differently during the conversion process. Since the IRS views both accounts as one entity, the tax treatment of your rollover distribution is taken on a percentage basis, meaning part of your distribution is taxable, while part of it is not. This means popular accounts such as your 401k and your 403b are now eligible for a Roth IRA rollover. 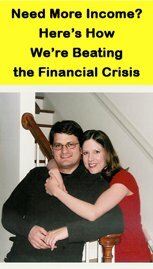 With either of these accounts, any amount rolled over is subject to the same rules which govern a conversion from a Traditional IRA to a Roth IRA, but the rollover contribution must meet the requirements applicable to that specific type of plan, so make sure you know and follow the IRS guidelines. As part of the same 2008 rule change, you can now rollover funds from your 403b to your Roth IRA. Just as with your 401k, you need to be aware of the specific requirements applicable to a 403b rollover to a Roth IRA. 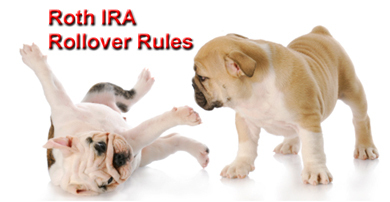 But, typically, such a rollover is subject to the same rules which govern a Traditional IRA conversion. Know the Roth IRA rollover rules inside and out before attempting to convert funds from another retirement account option to a Roth.